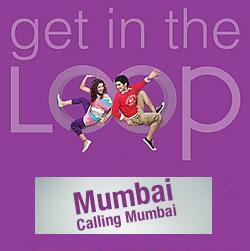 Mumbai’s oldest GSM mobile service operator Loop Mobile (formerly BPL Mobile) announced the launch of new prepaid plan “Mumbai Calling Mumbai” which offer lowest Own Net call charges with life time tariff validity for its new and existing subscriber. Loop Mobile’s new and existing prepaid subscribers can now enjoy All Local Own Net Calls (Loop to Loop) at 10p/min and STD calls to any mobile phone at 50 paisa per minute for life time. However all STD calls to Land line Phone will be charged @Rs 1/min. All local SMS cost 10p and National SMS at 50p. The First call or SMS of the day will be charged @ Rs 1. To avail the “Mumbai Calling Mumbai”offer new prepaid mobile subscriber need to recharge with FR-45 which cost Rs 45 and with talk time of Rs 25. The Existing subscriber can migrate to this plan by doing etop recharge of Rs 3. I am here to ask a queston.My frind in india use loop moble.I received miss call every day around same time and he says he doesn’t call or no one else use his phone, I dont understand ths that how come without dialng my number I receive call everyday??? pls help me find out this issue.